Hey everyone! Happy Monday! Hope your weekends were productive and/or relaxing! Hopefully a mix of both! Since last weekend I spent so much time cleaning and purging the closet room, I definitely steered towards the "relaxing" side of the spectrum this weekend. Watched a couple of movies, had a long mani pedi, and brunched with the girls. It was nice! This week is going to be crazy busy with travel. I'm gone 3 days for work and then I leave next weekend for a long weekend for the nephew's first birthday party! But let's talk about this outfit first! I mentioned that I got a mani pedi this weekend. And while I was sitting there, I decided to use that time to catch up on some blog reading! 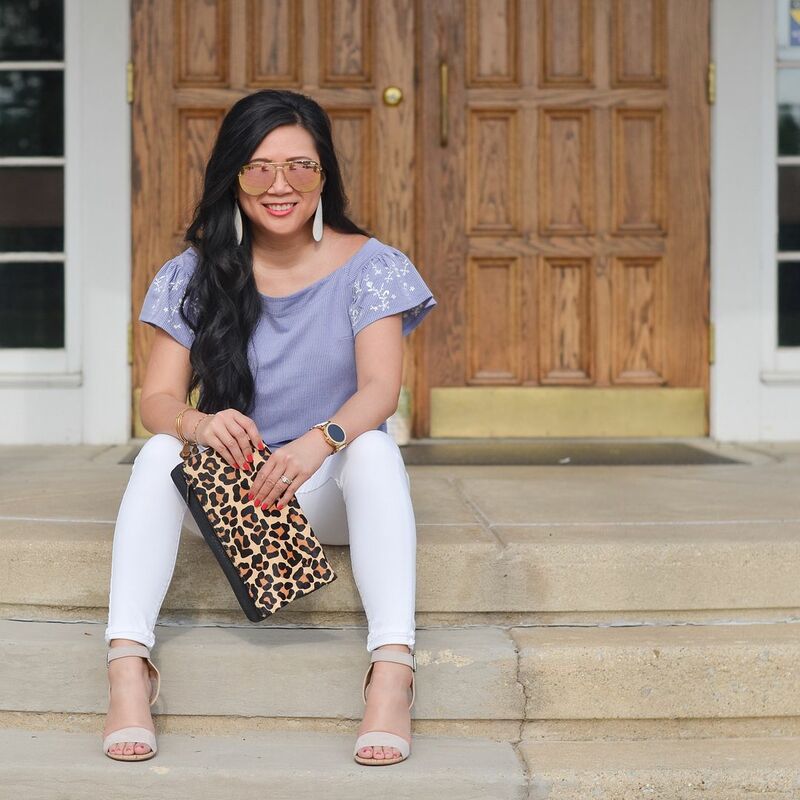 Rachelle put together this post about several ways she's worn her white jeans. While they are all fabulous, this outfit in particular was my favorite of the bunch. I just bought this top from Express and had yet to wear it, and voila! Rachelle once again inspired my outfit. The top also comes in petite, but I'm wearing it in the "normal" size small. It fits great! The model is wearing it a bit more off the shoulder, but I haven't tried it that way yet. I kind of like the way it currently falls with the wider neckline. Nice to know that I have the option to wear it both ways! Leopard is one of my most favorite patterns to wear with blues, especially a lighter blue like this. The top does have a subtle pinstripe to it but it reads as a solid from afar. It also has a ribbed texture which is a nice change from some of the paper thin embroidered tops out there right now that seem to wrinkle super easily. Two thumbs up for the top from me! Before I go! 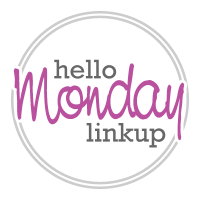 Just a heads up that the Hello Monday linkup will be taking a break next Monday! We will see you back here on Monday, June 4th! Love your take on this outfit, this top is so pretty. 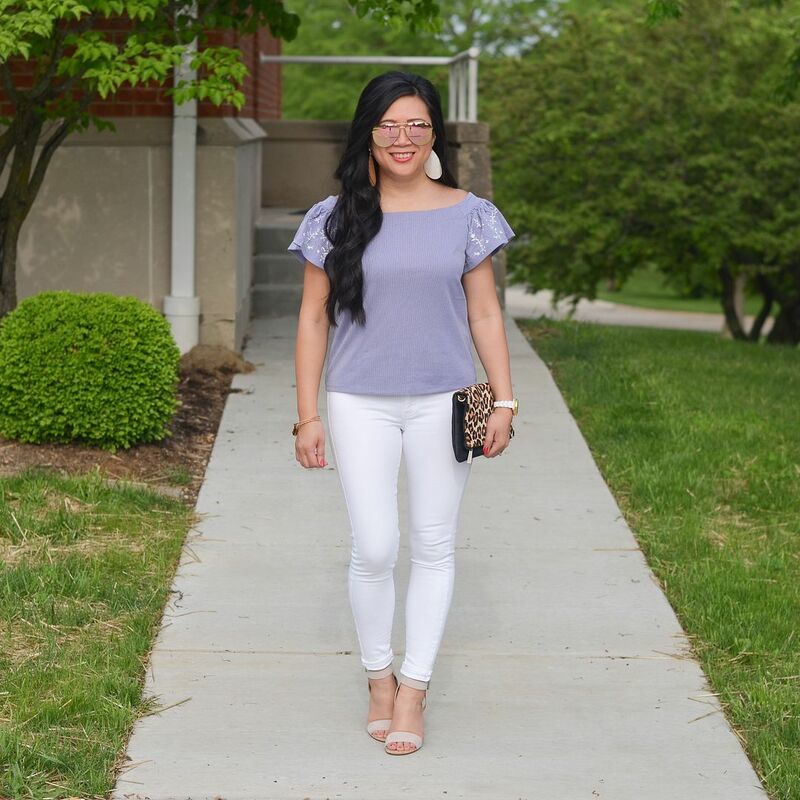 Love the way you styled the white jeans! 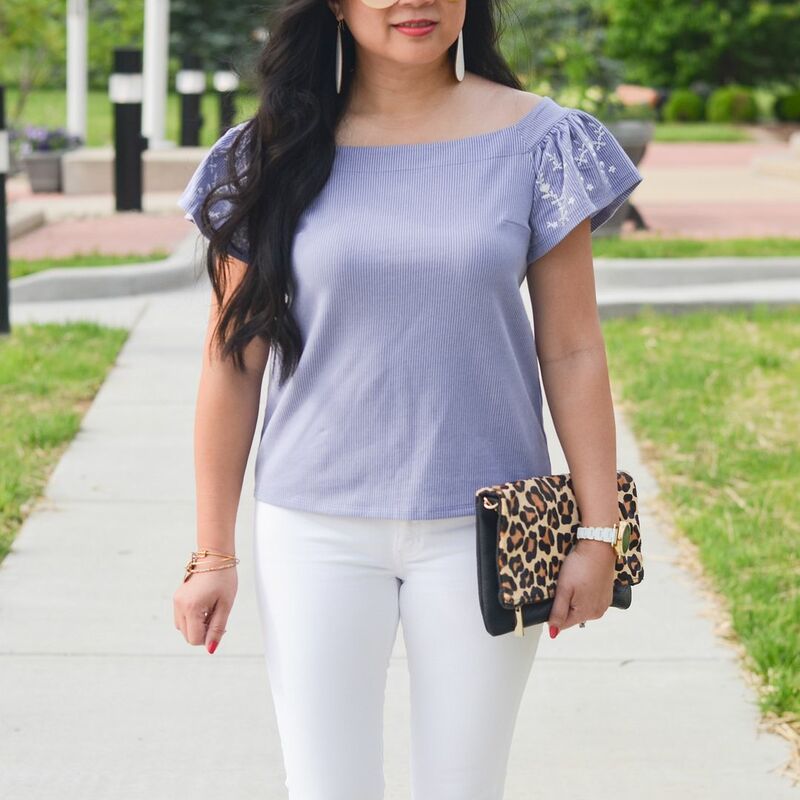 Love the fit of these white jeans! I adore the color of the top too. Thanks for the link up Carylee! Hope that you are having a great start to your week! :) Sounds like you had a great weekend! I would have never thought to pair leopard with light blue, but they are absolutely gorgeous together! LOVE those sleeves!! Such a cute outfit! Sounds like a wonderful weekend! Fabulous look too! Have a great week ahead!